Each year we hold an annual belt grading for our students (adults and children). Each year we are sponsored by various local companies to organise our annual belt grading called batizado (you can see the sponsors of batizado in 2016 on the front page). 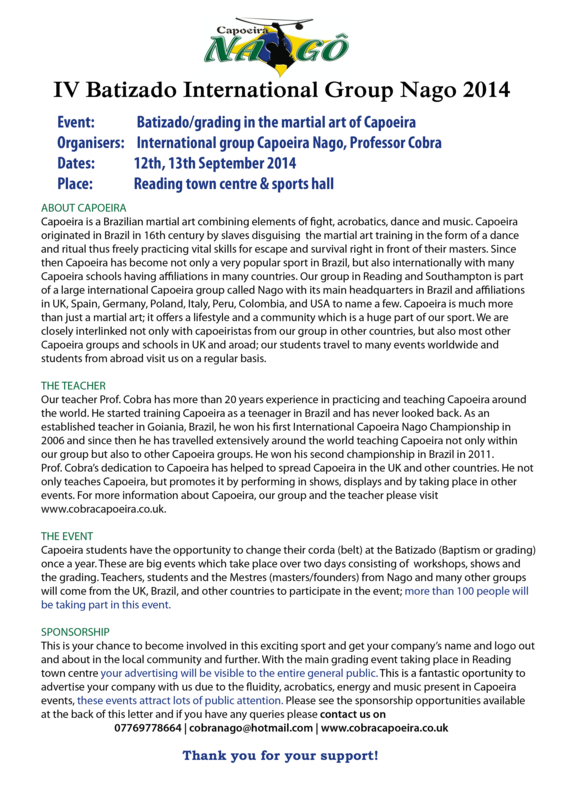 This year our belt grading will be in October in Reading town centre. 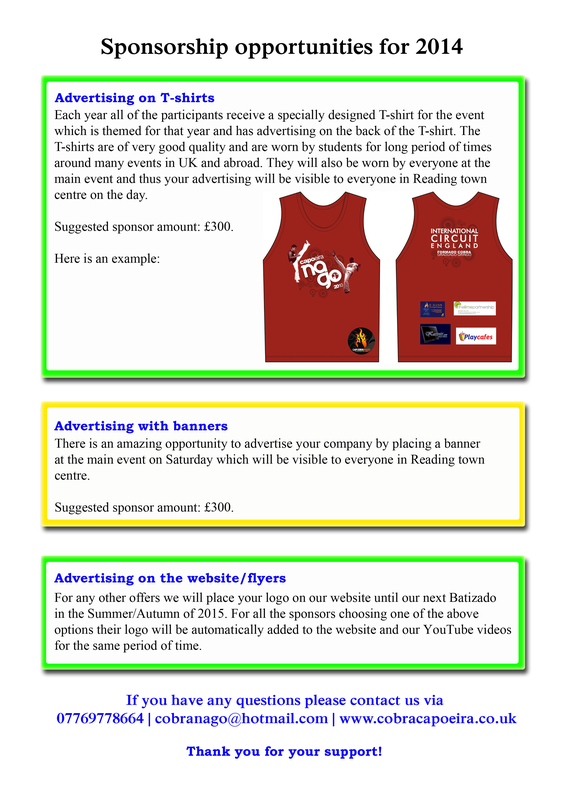 We offer to place your advertising on our event T-shirts, banners, flyers, and all sponsors of the event will automatically be advertised on our website for the year. To see more information about sponsoring our belt grading event see information about us and type of ads. Our website is informative site about Capoeira, our classes, events and Brazilian culture. More importantly the site serves as a community for my current students and other capoeiristas around the world containing interesting content such as photos, videos of my students and other capoeiristas world wide, Capoeira events and Capoeira items for sale. Since January 2014 www.cobracapoeira.co.uk consistently receives 5000+ visits and 4300+ unique visits each months. If you would like to advertise on our website to the growing local and international community we offer to put your advertising at the bottom of our front page. The ads are approx 125 x 125 pixels and cost £50 per month. Please contact me at cobranago@hotmailcom.com for further information.